This comes within the Baripada subdivision and at a distance of 10miles from Baripada. 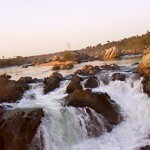 It was the former capital of the state of Mayurbhanj before it was shifted to Baripada. The vast ruins afford ample and interesting material for antiquarian research. 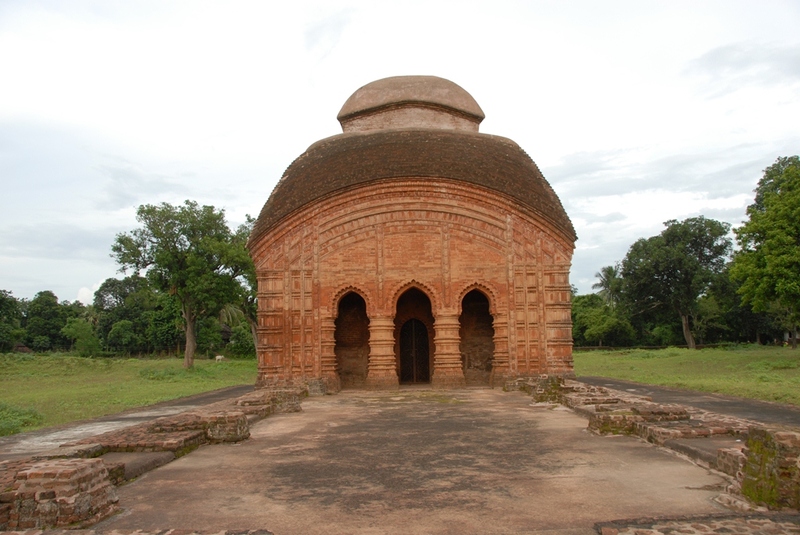 It was named after the Maharajah of Mayurbhanj Shri Harihar Bhanja who founded this place as the Capital in 1322, shifted from Khiching and later on is famous as Haripurgarh. The favorable geographical situation and charming surroundings were probably responsible for selection of this place as the Capital of the former state. 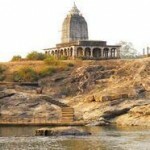 But close examination of the ruins that surround the village and its neighbouring hill forts called Kusumia and Banakati Gada, leads to conclusion that it was an important place even before the time of Harihar Bhanja. 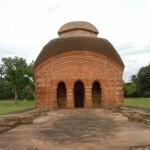 Maharajah Baidyanatha Bhanja, an eminent devotee of VAISHNAVA built here a magnificent Brick temple, known as RASHIK RAY. This temple is now broken inmost parts and overgrown with vegetation, is still regarded as a vestige of the glorious deeds of the Bhanja Rulers. 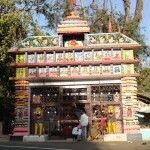 This temple is the only of its kind, found in the entire State of Odisha. Such kinda workmanship using Bricks, is found nowhere in Odisha. A little north of the courtyard of the said temple lies the ruins of the Ranihansapur. It formed the south-western portion of the palace and consisted of the apartments with adjoining bath rooms. No trace now exists of the inner apartments. To the east of this and on the north of the courtyard of the Rasika Raya temple, once stood the Durbar hall and the retiring chamber studded in front by sculptured stone columns and arches of fine designs. A portion of the floor of the old rooms and the wells can also be found here. A few specimen of earthen pots were found within the niches of some apartments. To the north-west of the palace and behind the old court stands the temple of Radhamohan. This is a plain rectangular block of building made of bricks and covered with lime plaster. This temple lost its roofs as well as a large portion of its has already been ruined. 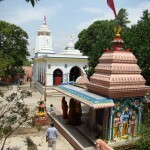 On the south-east of the Rasika Raya temple, there is a temple of Lord Jagannatha, which is built as an imitation of the Gaudiya style of Arhitecture. There is a stone image of Mahisamardini Durga, known by the name of Gadachandi, n the bamboo thicket of Baripada, a place situated close to Haripurgarh. Nearby to this, there is a stone image of Goddess Kota Basini or Kotasini.